You know what’s so exciting about being four? They’re officially kids! Your baby is no longer a baby and can understand a whole lot more. That means games with rules are now a go! Since they have the ability to play with a lot more variety of toys, you can either leave them to their own devices or play more complicated games with them. Honestly, squishy toys and ultra-big pieces can get boring fast for parents. Thank goodness, he can now play board games! Review: We’re off to good start with this simple and fun toy. Engage your kid in both physics and the physical with stunt planes swooshing around the backyard! 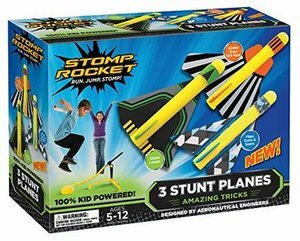 Enjoy seeing your kid run, jump, and stomp around while playing with these stunt planes. The great thing is that it doesn’t need batteries (and your kid will be so tired after that he’ll fall asleep real quick). All three planes are designed to do different stunts for your kid’s amusement. All he has to do is adjust the launch pad in an angle he likes. Review: Toy cars a classic that even the youngest kids can enjoy. So what makes this car different from the million other models out there? Well, this one is something that your little boy can take a part on purpose and then build back up! 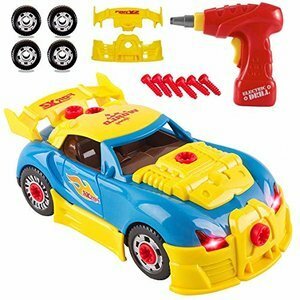 Now that your little boy knows that there’s something more to cars than driving them around, he can fully appreciate assembling and disassembling this toy. He can use a working power drill and a set of screws. Plus, he can create his own car model with the different modification parts that come with the set. Review: It is time! Your favorite when you were a kid can now be played by your very own kid. Other might say the Candyland is so overrated but I think that it makes for a great gift nonetheless. Who doesn’t like traveling around the delicious land of sweets? Play this game with all your kids from wonderfully mouthwatering surprises. 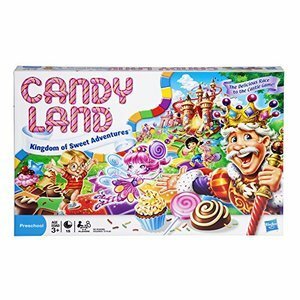 Candyland is also a great and easy game to introduce your kid to the world of board games and games with rules. Review: Being a doctor doesn’t mean you only cure sick dolls. 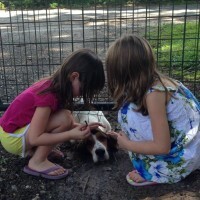 Your kid can also help out your little pets and other animals that are feeling a bit under the weather. 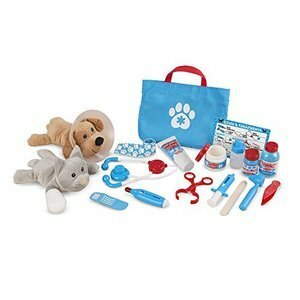 This play vet set has 24 durable and beautiful pieces complete with your little boy’s very own stuffed dog and cat. It has a variety of medical tools that can help him with his diagnosis like a stethoscope, a thermometer, and even a syringe. Plus, he can make use of the different treatments and ointments to cure any disease he could think of! Review: Who says that pretend play should stay safely on planet Earth? 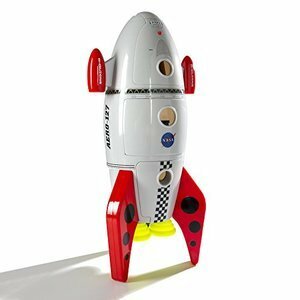 Help your little boy discover the wonders of the universe with this amazing rocket ship! If little girls get beautifully designed doll houses, why shouldn’t boys get their own rocket ship, right? This rocket ship has three different compartments that your kid will love exploring. He can pretend to be an astronaut, a robot, or even an alien! Really, it’s an out-of-this-world experience! Plus, the ship and all the parts are durable and beautifully designed (you can even buy it just for aesthetic purposes, honestly). Review: Your kid may now know about Batman and all other superheroes. He might even like them! 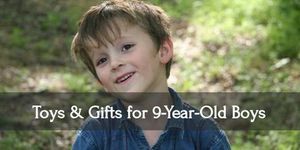 Do you want to make your kid shout out with joy when he opens his gift? 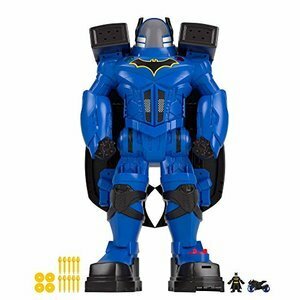 Then get this awesome Batbot Xtreme! It’s a 2 feet-tall Batman robot! What more can your boy want? It has wings, a motorbike, actual fists that punch, and even a launcher that shoots projectiles! It’s not like any of his other action figures as well. For a kid barely 3 feet tall, this robot is HUGE! Honestly, even daddies will love playing with this amazing toy. You can even fit Batman inside the cockpit. Review: Another great toy that most boys would love is a ball. Any type of ball, to be honest, and their sure to have lots of fun with it. It’s also a very simple and fuss-free gift. But why stop there? Why not give your little boy a gravity-defying ball? 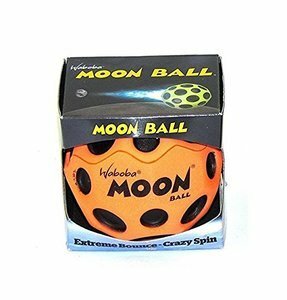 The Waboba ball can bounce up to a whopping HUNDRED feet in the air! And it makes a really hilarious ‘POP’ sound when it connects with the ground. Just like any other ball, your kid can do so many games with it. He can kick, play catch, make it bounce in patterns, and so much more. You and his friends can even join him whenever you like. Review: Since your little boy will be starting school soon, it might be a good idea to teach him how to draw and write. What better way than with a fully-functioning toy? 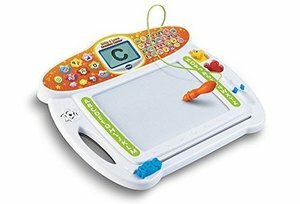 This magnetic drawing board has animated demonstrations that can help your kids learn how to write all his letters correctly. It can even help them write their own name! Plus, he can use the stencils to learn how to draw all the pictures he wants to create. You won’t even have to waste lots of paper since the drawing board is already enough. 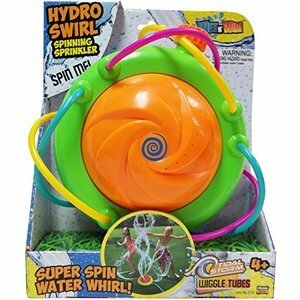 Review: Do you want a super simple toy that can provide your kid and his friends endless amounts of fun during the summer heat? Well, have I got a treat for you! Why not give him this super awesome tidal storm sprinkler? Yup, honestly, it’s just a sprinkler but it does create awesome swirls which levels up the fun. It’s super easy to use as well. All mommy or daddy needs to do is connect it to the garden hose, and voila! Let’s the Summer Fest begin! Review: Does your kid love banging and ‘fixing’ things? Sure, he might already have his basic handyman toolbox. But why stop there when you can give him his very own workbench? 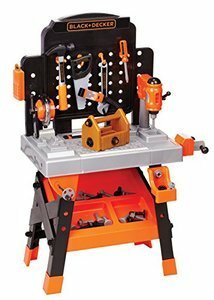 This amazing pretend play set has over 75 tools and accessories to keep your little boy super busy. It even makes hyper-realistic lights and sounds. Now, your kid can work alongside Daddy when he has to fix things. You can even use it to give him safety lessons. Your little boy isn’t so little anymore. You should start preparing him for a life at school. That means encouraging his writing, reading, and social skills. Games with rules can also help him develop more patience and a healthy dose of competitiveness. But that doesn’t mean you should stop giving him toys just because they’re fun! You can still keep him busy with toys that just provide endless entertainment, and that’s still okay. 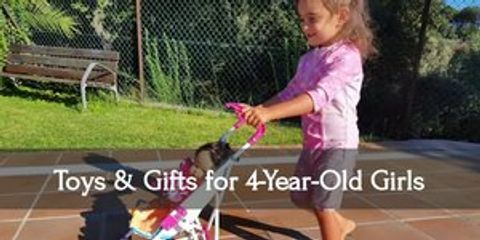 Make your four-year-old girl’s day with this super fun gifts! 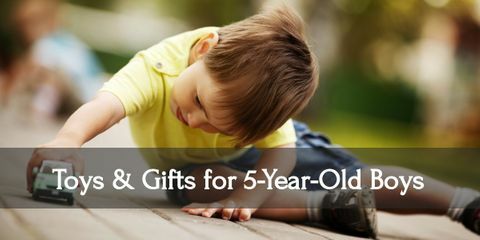 Witness the smile on your five year old boy’s face when he gets these gifts!